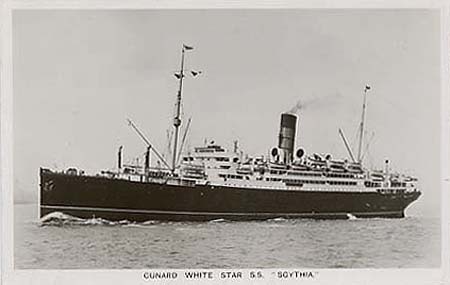 Sailing from Singapore RMS SCYTHIA picked up a handful of Polish Army Officers and relatives at Port Said for the North West Command H.Q. Shrewsbury. Arriving in Liverpool on the 27th January 1948. 332 SZTOLC Anna 44 A .S. T.